As you know I was admitted to hospital @4 days over due to high blood pressure with the possibility of being induced the next day, however as my blood pressure started to stabilise over the next few days they decided to discharge me and if nothing happened I would be induced the following Monday. This was to be short lived as @2:30 am I felt my pj’s were wet. I called the hospital who advised me to walk around the house for 40mins with a pad on to see if it was my waters that had broke. After 40 mins I called back and advised the pad was dry and therefore the recommended I go back back to bed and try and get some sleep and see how I was in the morning. I tried to do this but I knew I was starting to feel contractions. I got out of bed again and bounced on my yoga ball, taking deep yoga breaths and applying a hot water bottle and repeating mantras over and over to myself. I did this for as long as I could. Contractions were coming closer so I said to my partner we better go. On arrival to the assessment unit I waited to be seen (as patiently as I could). Eventually I was checked by a doctor and I was 6cms – without everything I learned in yoga there is no way I could have stayed at home that long so thank you much for everything you taught me. It was invaluable. I then went to the delivery suite and started on the gas and air. This worked for a while however I started becoming quite tired and I didn’t feel I could keep going. At this stage I requested an epidural. It was over an hour before the anaesthetist arrived. I was examined one more time before I received the epidural and I was fully dilated. As the babies head was so high up and they expected me to be pushing for over an hour they said I could be given the epidural. If this was my second baby they wouldn’t have advised it. Once the epidural kicked in i was able to relax and recover a bit and prepare myself for pushing. The epidural worked in the sense that it relieved pain however it worked against me when pushing. I was pushing for over an hour but baby would not move. In the end I required an episiotomy and forceps. In hindsight I should have carried on without the epidural however I did what I thought was best at the time. Baby Alfie arrived @18:34 weighing 7lbs 11ozs. My advice for all the Momma’s to be is listen to your body. It was made to do this. Do not doubt yourself. Lainey – thank you so much for everything. Yoga really did help me get through the labour and I enjoyed every class so much. 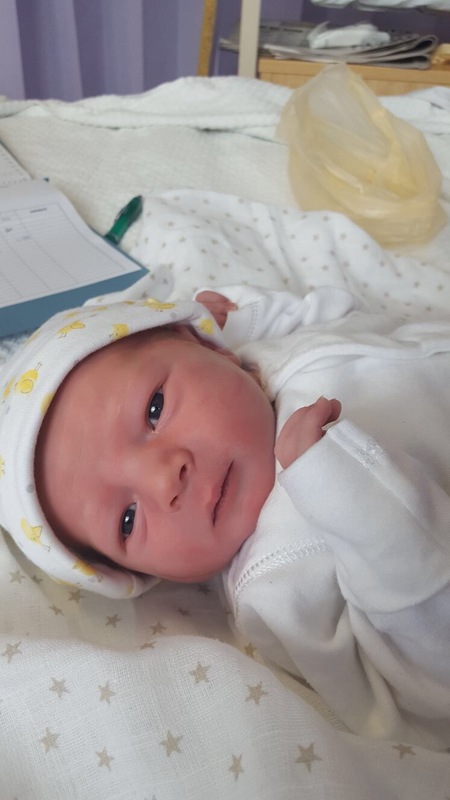 Posted in birth, birth story, Prenatal yoga class and tagged active birth, baby classes, Carlow, new mother, positive birth story, pregnancy, pregnancy yoga, pregnancy yoga carlow, pregnancy yoga tallaght, prenatal yoga, tallaght, yoga carlow, yoga dublin, yoga with elaine, yogamammas.